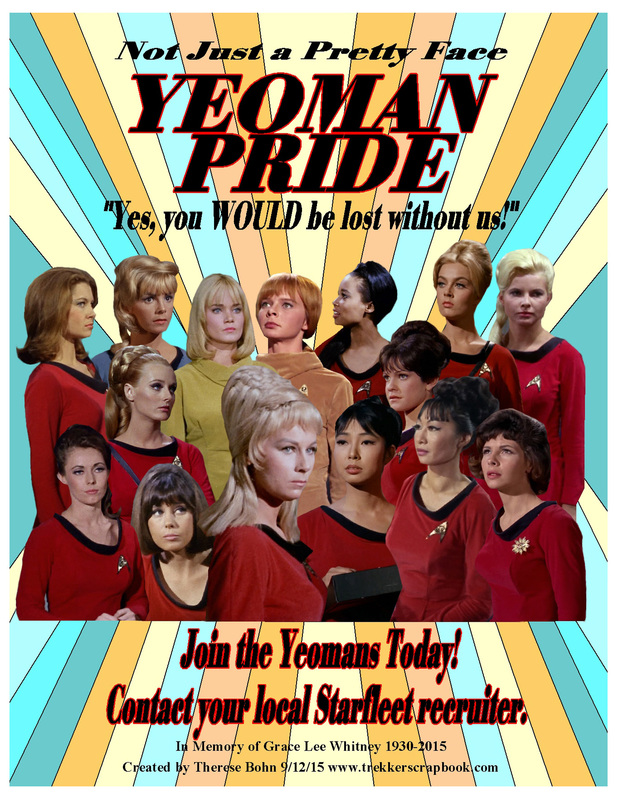 This entry was posted in My Star Trek Posters and tagged Ensign Wong, Miss Piper, Yeoman Atkins, Yeoman Barrows, Yeoman Colt, Yeoman Landon, Yeoman Lawton, Yeoman Mears, Yeoman Rand, Yeoman Ross, Yeoman Smith, Yeoman Tamura, Yeoman Tankris, Yeoman Thompson, Yeoman Zahra. Bookmark the permalink. so sad.imet grace at a star trek convention at the nec Birmingham in 1993.she commented on my remarkable likeness to leonard nimoy.i thought she was a sweet person.llap. Thanks Celeste! ❤ The Yeoman Sisterhood deserved its due!